To those familiar with PSB, the acronym (Paul & Sue Barton) could very well mean People, Sound and Business. For years, audio critics have attributed the performance of PSB Speakers with founder, Paul Barton and his love and passion for music and loudspeakers. A look back into the history of PSB will show you why… Paul\'s admiration for natural sound recreation was key to PSB\'s beginnings. However, today, it is easy to see that PSB is no longer a small business operation; it\'s no longer about just one individual or two, or even 10. 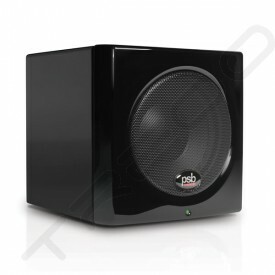 PSB Speakers International is about a much larger team of good people who, themselves, are the vital foundation for the company\'s success. Today, PSB brings audio enjoyment to customers all over the globe, through its nearly 50 distributors and approximately 1000 dealers/retailers. And yet, while the company itself has grown to the level of worldwide distribution, the company\'s philosophy of performance and value has remained unchanged for almost 40 years.